Available in 7/16in. plain shaft with inert rubber. Inert rubber is also called 'dead' rubber because it has no memory. Same as Fluted Super Star except a shaft of 7/16in. diameter. 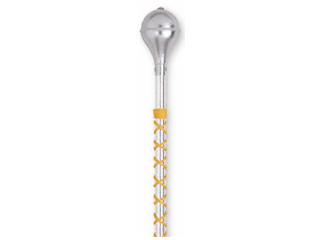 The SUPER STAR baton is the world's most popular baton. The LITE STAR baton is a world class competition baton available in the 7/16 and the NEW 3/8 inch shaft. 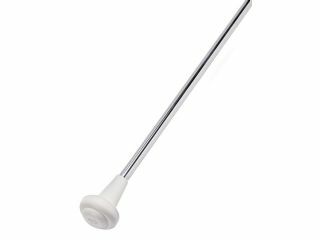 The LITE STAR baton is a world class competition baton available in the 3/8 inch regular and the 7/16 inch thicker shaft. Same as Plain Super Star except shaft is 7/16in. diameter. The SUPER STAR baton is the world's most popular baton. Sharp Model #10. 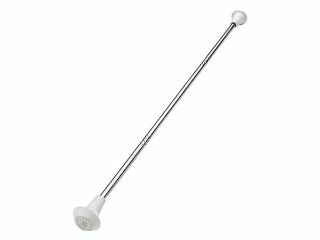 This is a 3/8 inch standard size shaft baton. Professionally balanced. Sharp Model #20 This is a 7/16 inch standard size shaft baton. Sharp Model #SM5. This is a 5/16 in. 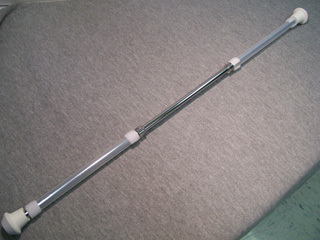 standard size shaft baton. Same design as Starlet except shaft is 5/16in. diameter. 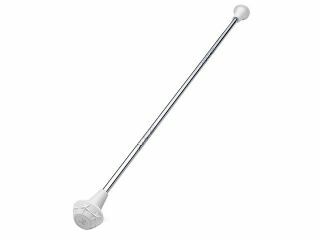 This is the perfect baton for those students with small hands and short fingers. Most popular model for class participants; has plain 3/8 in. Many coaches/teachers prefer this baton for beginner students. Most popular model for class participants; has plain 7/16in. shaft. 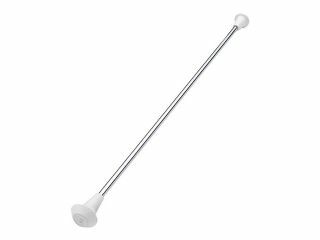 Many coaches/teachers prefer this baton for beginner students. 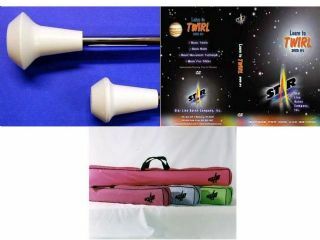 We have combined the #1 beginner Starlet baton with the leading Learn To Twirl DVD plus a large baton case. 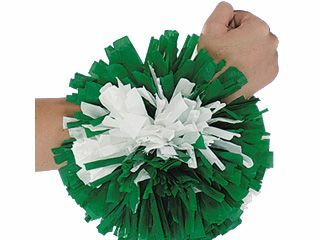 We have combined the #1 beginner Starlet baton with the leading Learn To Twirl DVD plus a small baton case. A classic beauty with dimensional stars on the ball and hand-hammered bands on 3/8in. shaft.